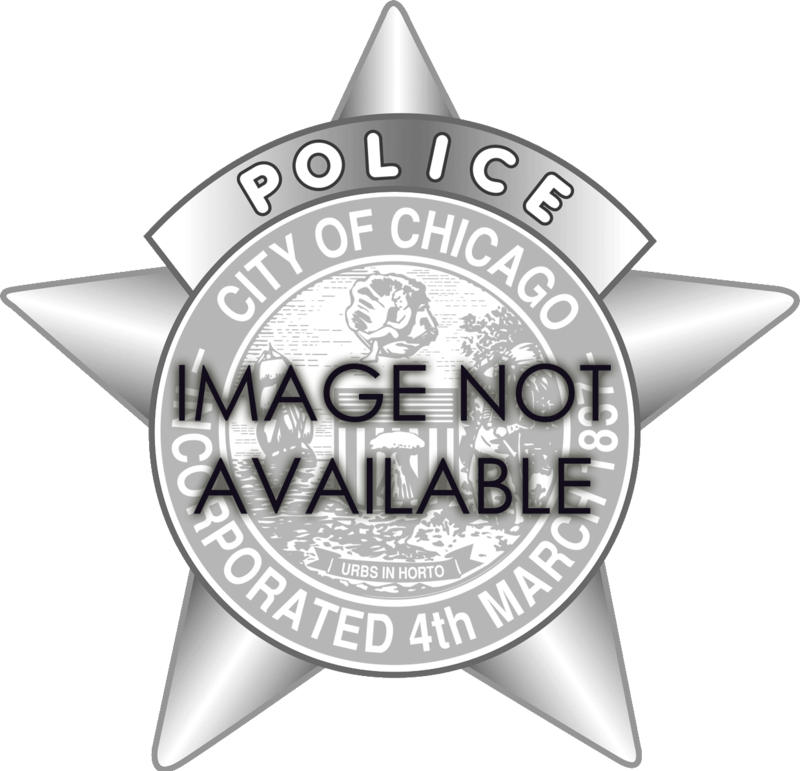 Below is a complete pictorial presentation of the 1905 Series Chicago Police Department Star. 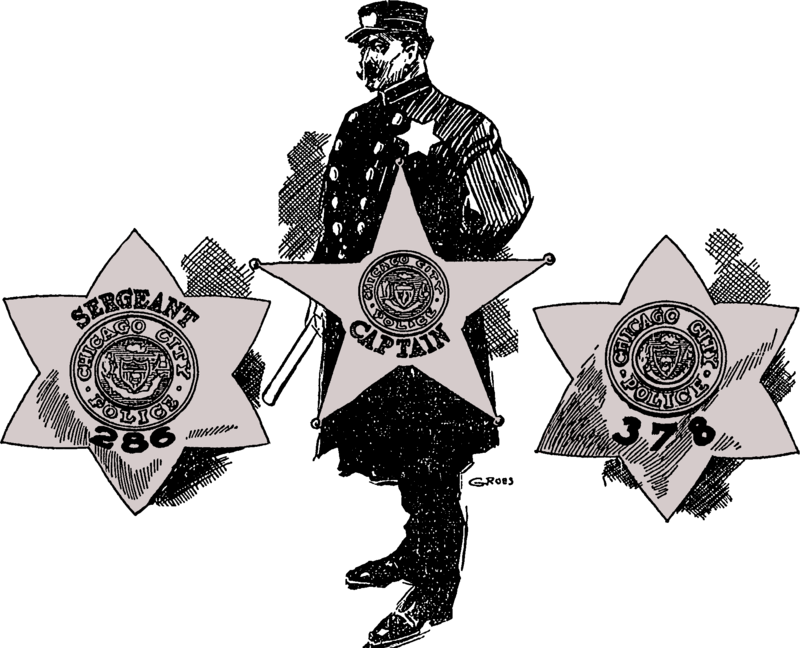 All images shown are of actual Department issued stars of every rank that existed in the 1905 series. On May 21, 1904, Department Secretary Si Mayer began soliciting bids for the manufacture of a new star in which the members of the department would be supplied. 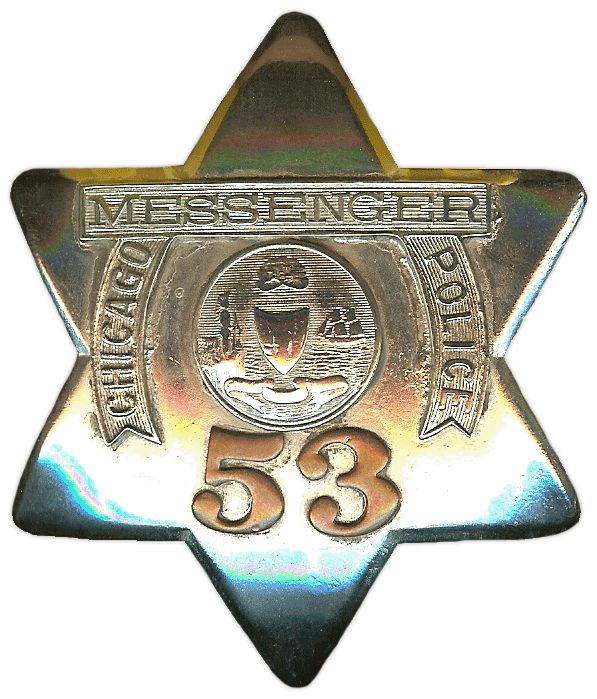 The bid was for nearly 3000 badges made of German Silver with copper numbers riveted on. 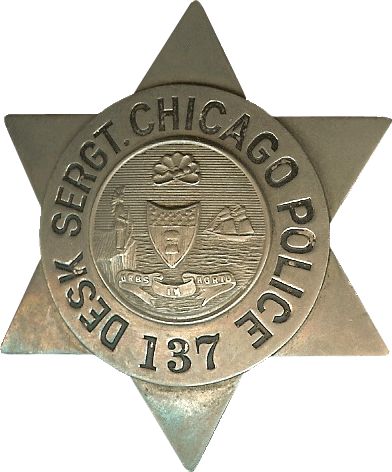 The 1905 series badge was initially manufactured by S.D. Childs & Co. beginning in 1905. It is not clear when the transition was made to C.H. 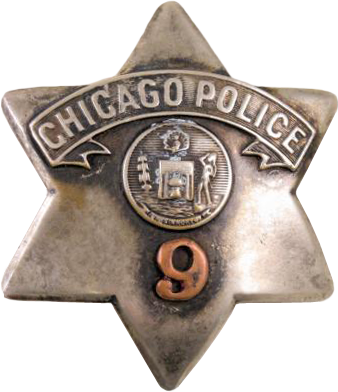 Hanson Co., however the badge was made by C.H. Hanson Co. until its decommissioning in 1955. 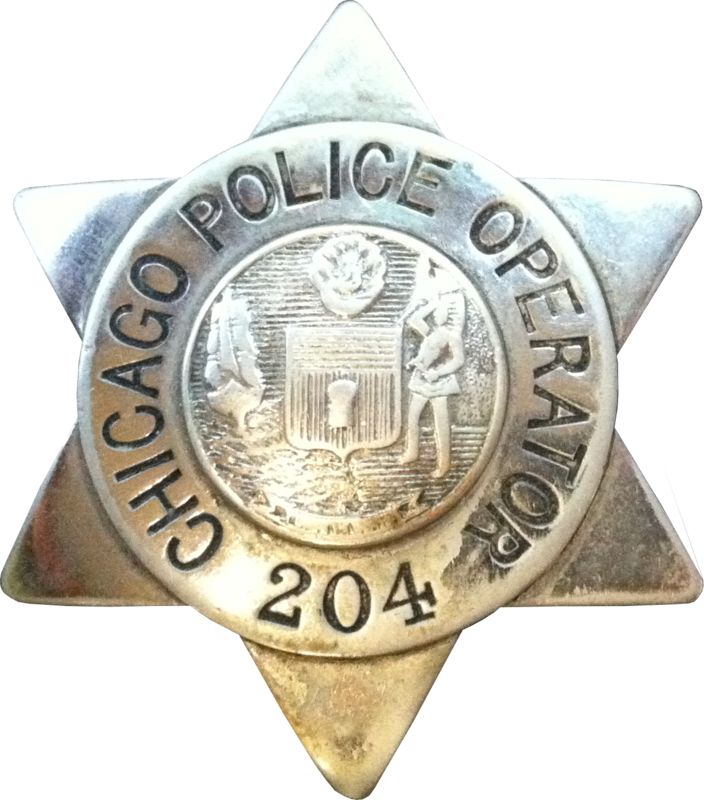 Both hallmarks were stamped and not raised or engraved on the reverse side of the badge and it is not uncommon to find some without a hallmark. If a star of this design is found to have a V.H. Blackington hallmark it is either a reproduction made by V.H. Blackington or a counterfeit. The 1905 series was introduced with two different size stars. 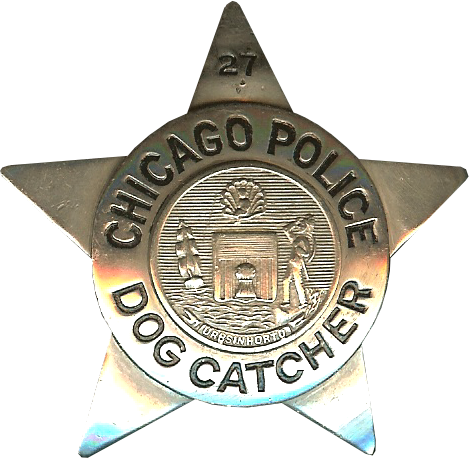 The larger sized star was designated for Patrolman and the smaller sized stars were issued to Police Matrons, Dog Catchers, Surgeon, Assistant Surgeon, Superintendent’s Staff and all other ranks Sergeant and above. When the larger and heavier star was introduced to the department, it earned the nickname “pie plate” by officers because of its size. 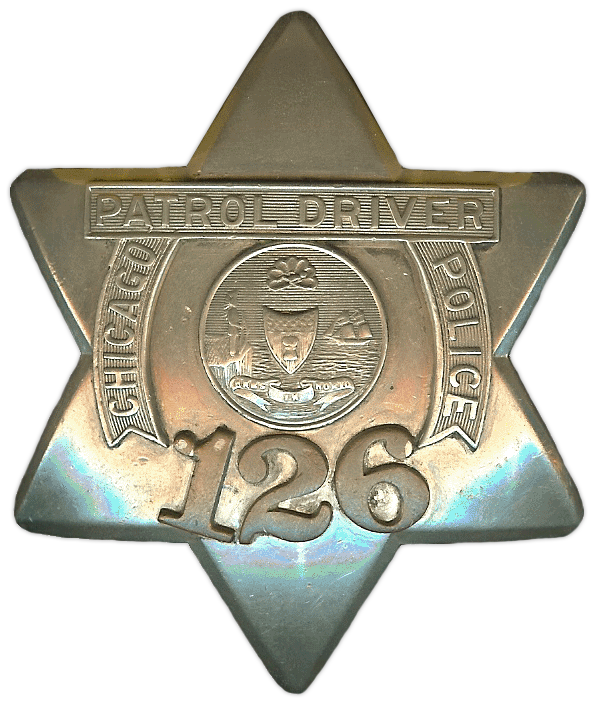 In addition to the pie plate nickname, the stars with the designated titles of “Ambulance Driver,” “Chauffeur,” “Driver,” “Messenger,” and “Patrol Driver” are also known as a “Pagoda” or “Pagoda Pie Plate.” This nickname comes from the decorative applied panel which carries the title. Interestingly, the stars were issued just months before the city council voted on a redesigned city seal, and therefore there are two versions of the star that exist. 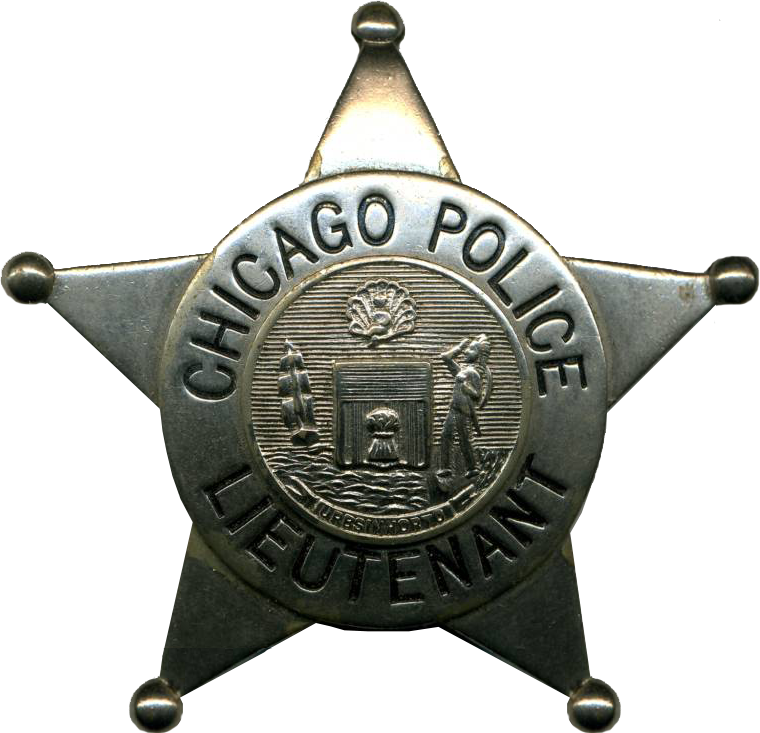 The stars with the old seals were slowly phased out in 1907 and officers were issued stars with the new seal. 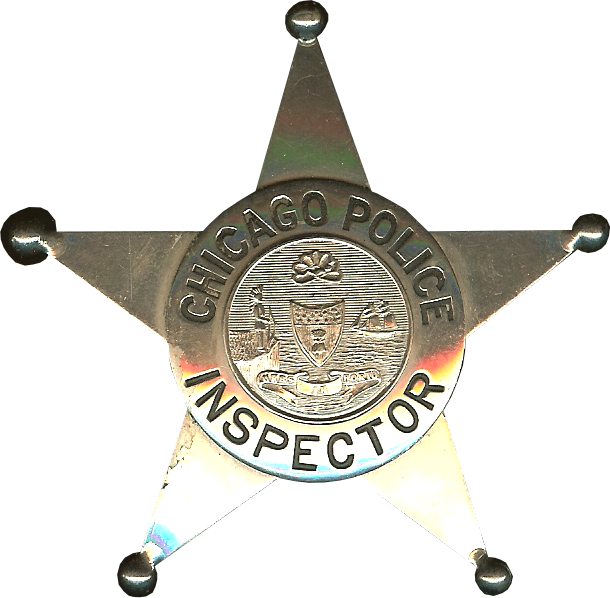 This also corresponded to the introduction of a new hat shield which was introduced in 1907. 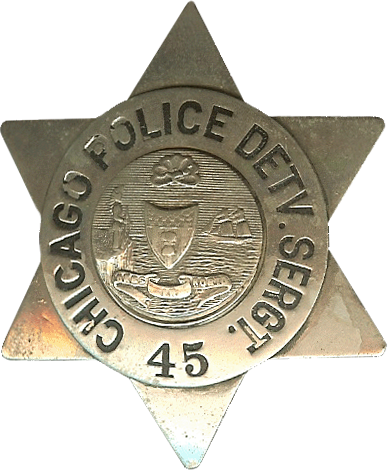 It should be noted that the Pagoda Pie Plates, Desk and Patrol Sergeant Stars were never reissued with the new seal as those ranks/titles were eventualy phased out each at different times. 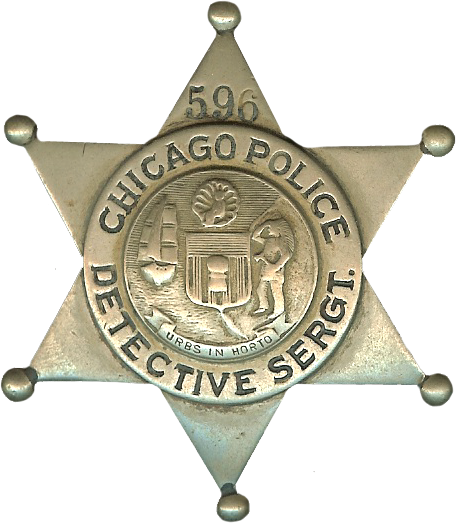 The Detective Sergeant star was reissued with a new seal, but was also later phased out. 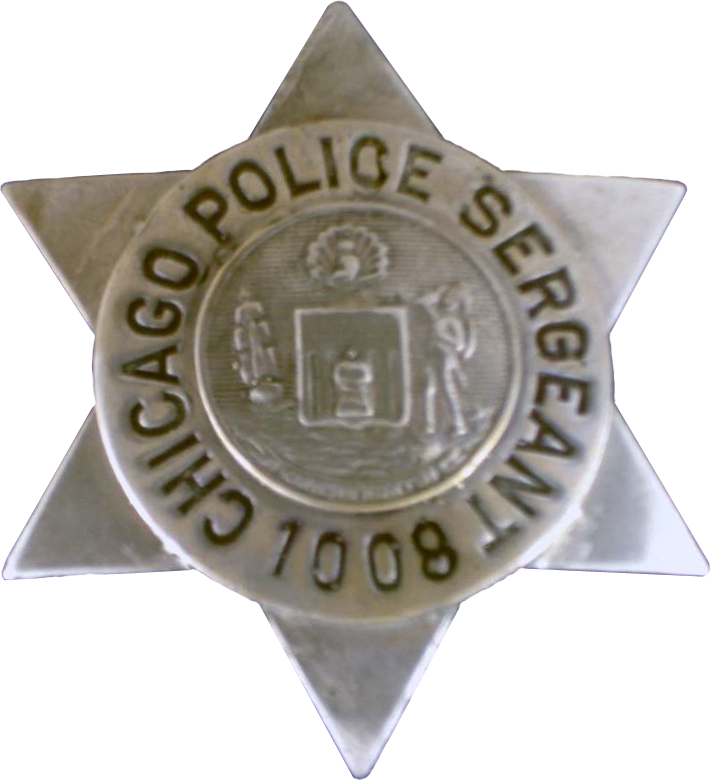 Eventually all Sergeants were issued one identical star with the new seal. 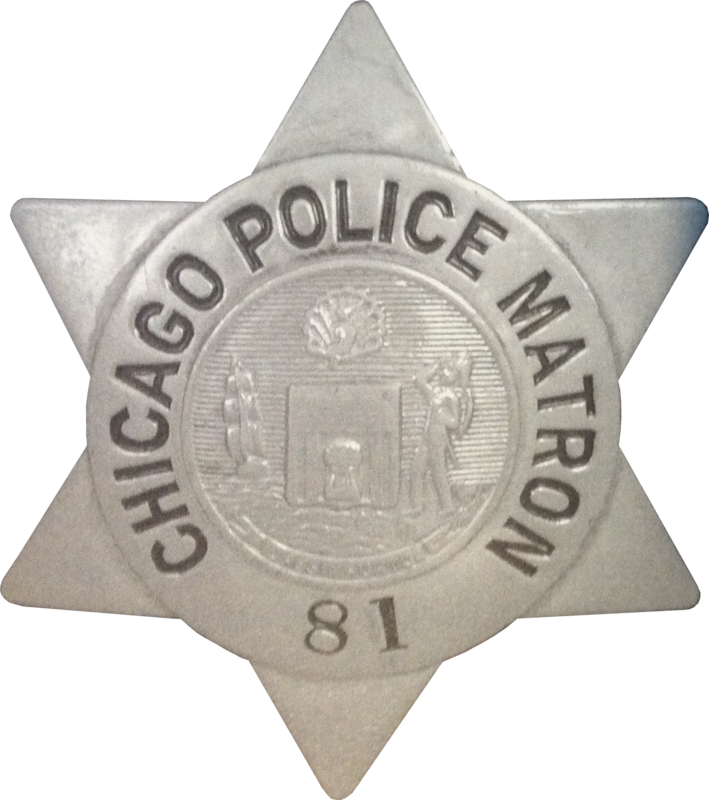 The earlier stars, especially those with the old city seal, were made from German Nickel a soft metal. It is common to find these stars in a very worn condition as they were polished daily by officers before they stood inspection. Due to the combination of the soft metal and the frequent polishing the stars wore very easily. 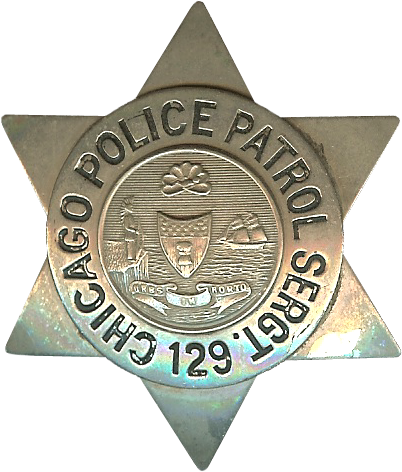 It later became a common practice by officers to have their stars plated in chrome by a jeweler so they would not have to be polished as frequently. 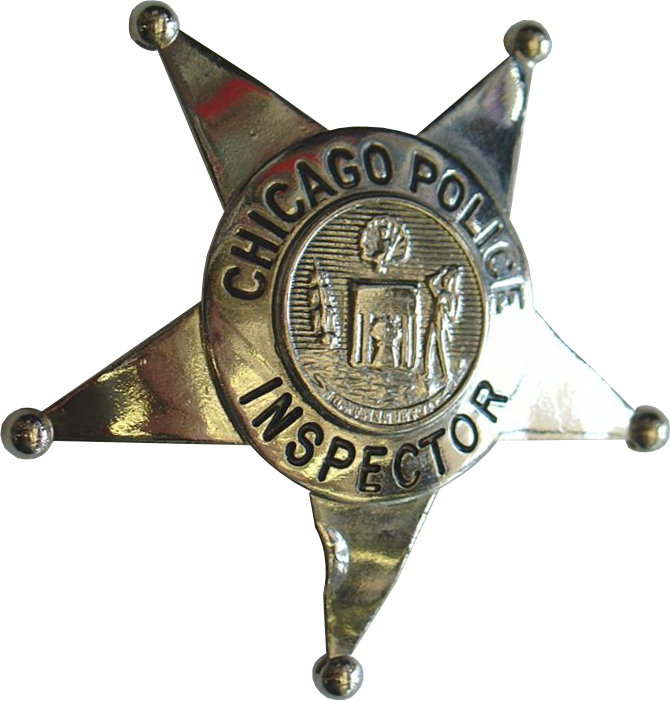 A good way to know if a star was re-plated is if it has a very shinny appearance and if you find chrome plating on the sides of the applied copper numbers. 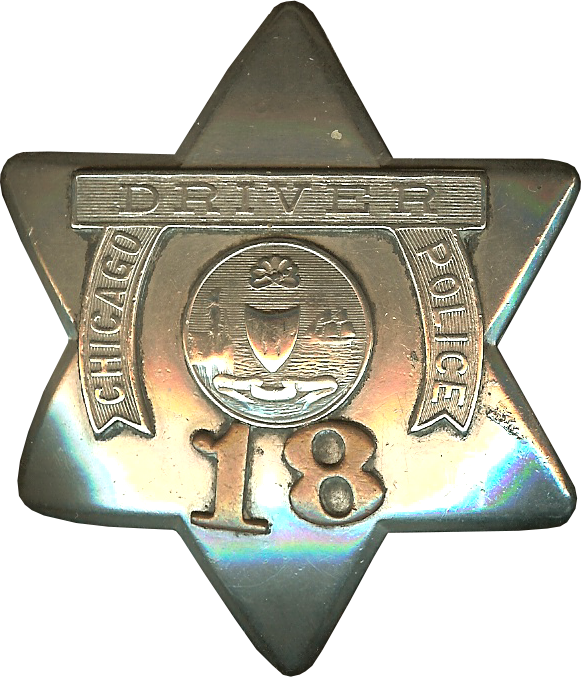 The copper numbers were always applied after plating by the manufacturer so if you find plating on the sides of the copper numbers you know the star was re-plated. Beginning with the 1905 Series star several “Specialty” stars were issued with various titles. Those titles being Desk Sergeant, Detective Sergeant, Patrol Sergeant, Dog Catcher and Matron. Manufactured By: S.D. Childs & Co. and C.H. Hanson Co. Manufactured By: and C.H. Hanson Co. Manufactured By: C.H. Hanson Co. Manufactured By: Detective Publishing Co. and S.D. Childs & Co. Manufactured By: C.H. Hanson Co., Detective Publishing Co. and S.D. Childs & Co. Manufactured By: Detective Publishing Co., Meyer & Wenthe, S.D. Childs & Co. Manufactured By: C.H. Hanson Co., Detective Publishing Co. and W.W. Wilcox Co.